The Saudi government announced this week it is further criminalizing dissent, deeming satire that “disturbs the public order” a crime in what amounts to an escalation of already existing practices despite recent claims the Kingdom has entered an age of reformation. 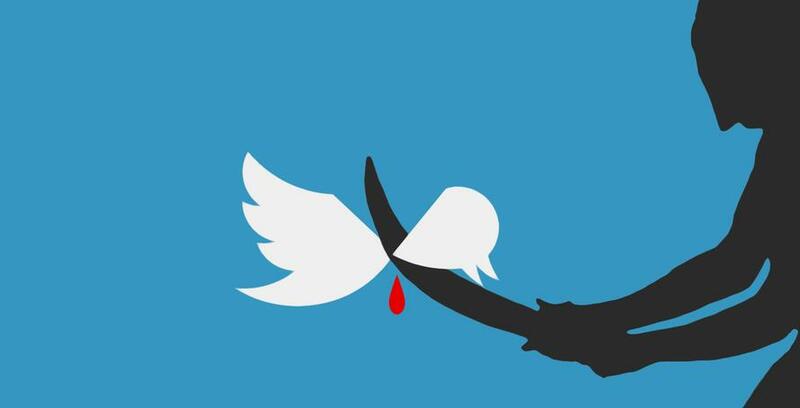 The government’s Public Prosecution tweeted Monday that using social media to commit an “informational crime” that “affects public order, religious values and public morals” will be punishable by up to five years in prison and a fine of three million riyals, roughly $800,000. The Kingdom has a well-established track record of forcefully silencing protest and dissent. It was the target of widespread condemnation when authorities imprisoned and flogged blogger Raif Badawi in 2015, as well as when it sentenced multiple youths to death over their participation in protests during the Arab Spring. Last year, President Donald Trump and the U.S. government ignored pleas from rights groups to advocate on behalf of a student involved in those protests. He was on his way to study abroad in the United States when the Saudi authorities arrested him. Women have also been arrested for fighting for their rights. Concern over women’s rights launched a public feud between the Saudi government and Canada after Ottawa’s government criticized the Kingdom’s crackdowns. This has resulted in further suppression of speech and protest. Since that incident, the Saudi government has persecuted the family of a Saudi blogger located in Montreal; after attempting to use the family to silence him—and after he refused to keep quiet—two of his brothers disappeared. In light of claims of “reform” in Saudi Arabia, such as granting women the right to drive, the American media has fawned over the Kingdom. Meanwhile, massive arms deals facilitated by both Trump and Obama have led directly to the deaths of children in Yemen as the Saudi government suppresses protest domestically. Despite the notion that U.S. ties with the Saudis are justified because the Kingdom has embraced modernity under the guidance of Crown Prince Mohammed bin Salman, the ongoing crackdowns on dissent suggest little has changed.